Why John Owen, the Puritan? Religion is the same that it ever was, only it suffers by them that make profession of it. What disadvantage it falls under in the world, they must at length answer for those in whose misbelief and practice it is corrupted. And no man can express greater enmity unto or malice against the gospel, that he that’s should assert or maintain that the faith, profession, lives, ways, and walkings of the generality of Christians are a just representation of its truth and holiness. If one would want to further study the topic of apostasy, it is always best to look at those who have gone before them and written reliable material on the subject. There are a number of different men such as Samuel Eyles Pierce, A. W. Pink, Horatius Bonar, Gardiner Spring, and today’s Richard Phillips, that have written thorough pieces and dealt with the topic correctly, and are well worth the time to read. As for the Puritans’ writings on the topic, one may easily go in a number of different directions. It would be good to take the time to look at Thomas Brooks, Ebenezer Erskine, Thomas Boston, and Richard Sibbes. However, when delving into the topic of apostasy it is most important to spend some time on the greatest work done on it by the “Master” of it himself: John Owen. In the seventh volume of his works (printed by Banner of Truth Trust), Owen has a massive 259 pages dealing with apostasy. Today in the 21st century John Owen is known for a number of different topics and areas like, Mortification of Sin, Biblical Theology, Communion with God, The Glory of Christ, The Holy Spirit, his seven-volume work on the book of Hebrews, and his sixteen-volume set of works. Additionally, people may often think of Justin Taylor’s passion for Owens’ works, namely, Communion with the Triune God and Overcoming Sin and Temptation. On top of all that, Own is also known to be the cause of almost every seminarian’s complaint, “I cannot read his lengthy sentences!” No matter how many degrees one has, what seminary one graduated from, or how brilliant one is, it is always hard to grasp the long-winded mind and thought of John Owen brought forth through the ink of his pen. But that is exactly why this chapter is being written – so that you, the reader, will get a review of the often-overlooked writing on apostasy that Owen did, and how then to relate that to any man living today. With that said, there is not much of an introduction needed in describing John Owen. A man of Welsh decent, born in the town of Stadhampton, Oxfordshire, and a student of Queen’s College, he was born and raised a Puritan. John Owen was a husband, father, and, most of all, a man of God who spent his whole life studying the Scriptures. He lost 10 of his 11 children at birth, and later his 11th to drinking herself to death. John Owen knew suffering – that is for certain. The importance of John Owens’ sufferings in this matter (Apostasy) is to see how easily Owen himself could have turned hard-hearted toward the gospel and become an apostate. However, John Owen never lost sight of his victor, Jesus Christ. He took his work, ministry, and study very seriously – living out his faith in Christ. When one speaks or hears about the Puritans, it is hard to not think or have at least one mention of the most popular one: John Owen. The church, throughout her life, has been given a number of gifted and talented individuals with minds like nothing else, and which are even more powerfully seen when they use it while suffering for the kingdom of Christ – as John Owen did. Owens’ work can still be used today for all who may be dealing with apostasy or an apostate, as many living in this postmodern culture claim the title of “Christian” but show no fruit or sign and are then branded “Apostate!” For that very reason, the Nature and Causes of Apostasy from the Gospel should not be overlooked when dealing with Owens’ works. In the world we live in today, Owens’ tremendous work on apostasy brings much aid in helping one see the importance of the power of apostasy and how to deal with those that have become apostates. Often times, people overlook those who lived before them and have deeply studied the Scriptures. Some think with culture change – times passing away – what one had said hundreds of years ago is not needed or not “good enough” for today’s times. People even say that what may have been true then is not true now. That is exactly why John Owens’ work is a “must read” for our culture, as Christianity continues through the paths of time that tries to consume those who are a part of it. For the one who is solid in their walk and is living a life that is pleasing to the Lord according to His law, this is particularly important in mainly two ways. First, in times where the world is progressing, it is vital to know the truths of the Word and have proper doctrine that is in obedience to what God has intended for His people through His Word given to them. Secondly, in a culture where people call themselves “believers” by their own standard and own beliefs – and not that of what God has intended – one must be able to discern what is and is not the true mark of a believer who lives out the Scriptures in accordance with them, practicing them in obedience. John Owen wrote 13 different chapters/sections focusing on the nature and causes of apostasy. To deal with them all here could easily lead to a book in itself; maybe even multiple volumes on each area. However, this short chapter’s aim is to bring out the main points of John Owens’ work on apostasy and show the importance of the truths of it today. In each of John Owens 13 sections I plan to give a thesis, outline and summary, of John Owens work on dealing with apostasy. Click below on the “Read More” for the footnotes. John Owen, The Works of John Owen, vol. 7 (Banner of Truth Trust: London, 1965), p. 3. For these men’s work done on apostasy Cf. Samuel Eyles Pierce, Sermon XXIV in An Exposition of 1 John, reprinted by Particular Baptist Press, www.pbpress.org; A. W. Pink, An Exposition of Hebrews. (Baker: Grand Rapids, 1954), p. 285-97; Horatius Bonar, “Light and Truth: Bible Thoughts and Themes” in The Life and Works of Horatius Bonar CD, Lux Publications, www.horatiusbonar.com; Gardiner Spring, The Attraction of the Cross. (Banner of Truth Trust: Edinburgh, 1983), p. 216-231; Richard Phillips, Hebrews: Reformed Expository Commentary, (P&R Publishing: Phillipsburg, 2006), p. 185-96. For the Puritans’ work done on apostasy Cf. Thomas Brooks, The Works of Thomas Brooks. Vol. 1, ed. Alexander B. Grosart (Banner of Truth Trust: Edinburgh, 1980), p. 1-178; Ebenezer Erskine, The Whole Works of the Late Rev. 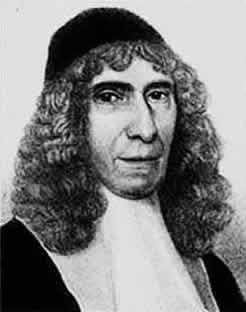 Ebenezer Erskine. Vol. 1 (Free Presbyterian Publications: Glasgow, 2001), p. 24-38; Thomas Boston, Complete Works of Thomas Boston. (Tentmaker: Staff, 2002), Vol. 9, p. 500-7; Vol. 10, p. 145-77; Richard Sibbes. Works of Richard Sibbes: The Returning Backslider. Vol. 2, ed. Alexander B. Grosart, (Banner of Truth Trust: Edinburgh, 2001), p. 250-435. For John Owens’ overall primary sources: John Owen, The Works of John Owen, ed. William Goold. 24 vols. Edinburgh and London: Johnstone and Hunter, 1850-53; vols. 1-16 reprint ed., (London: Banner of Truth, 1965); John Owen, The Works of John on CD-Rom. (Ages Software.) For the rest of his primary sources Cf. David Clarkson, A Funeral Sermon on Dr. John Owen. In The Works of John Owen, D.D. ed. Thomas Russell. Vol. 1. (London: for Richard Baynes, 1826), p. 411-422; Kelly M. Kapic, and Justin Taylor. Overcoming Sin and Temptation. (Wheaton, IL: Crossway, 2006); Millington, Edward, ed. Bibliotheca Oweniana, sive Catalogus librorum… Rev. Doct. Vir. D. Joan. Oweni… (London, 1684); John Owen, Biblical Theology. Transl. Stephen (Wescott. Soli Deo Gloria, 1997); John Owen “Preface.” Patrick Gillespie. The Ark of the Covenant Opened; or a Treatise of the Covenant of Redemption Between God and Christ as the Foundation of the Covenant of Grace. (London, 1677); John Owen, “Preface.” Samuel Petto. The Difference Between the Old and New Covenant Stated and Explained: With an Exposition of the Covenant of Grace in the Principal Concernments of It. (London, 1674); John Owen, “Preface.” Theophilus Gale. The True Idea of Jansenisme: Both Historick and Dogmatick. (London, 1669); John Owen, “Preface.” George Kendall. Fur Pro Tribunali. (London, 1657); John Owen, “Preface.” William Benn. Soul Prosperity, in Several Sermons. (London, 1683); John Owen, “Preface.” William Eyre. Vindiciae Justificationis Gratuitae. (London, 1654); John Owen, The Works of John Owen, D.D. ed. Thomas Russell. 21 vols. (London: for Richard Baynes, 1826); John Owen, The Correspondence of John Owen (1616–1683). With an account of his life and work. Edited by Peter Toon Forward by Rev. Dr. Geoffrey F. Nuttall, M.A. ; John Owen, Evangelical Theology: A Translation of the Sixth Book of Dr. Owen’s Latin Work Entitled Theologoumena, Translated by John Craig (Edinburgh, 1837). Justin Taylor’s site, done along with Joshua Sowin, on John Owen is http://www.johnowen.org/.